In the midst of the continuing exodus of Syrian refugees, a church in Germany is receiving global attention for its communication of the Gospel and its caring ministry for refugees. 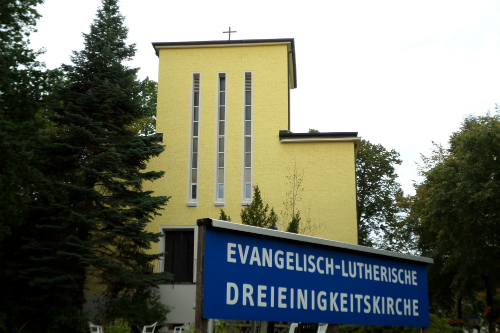 Over the past three years, the number of refugee church members has grown rapidly at Trinity Lutheran Church (Evangelisch-Lutherische Dreieinigkeitskirche) in Steglitz, southwest of Berlin, so that now there are 710 refugees, among whom 600 are from Iran and Afghanistan, in addition to the original 150 German believers. Kukmin Daily visited this German church on September 17 and met with its pastor, Gottfried Martens (52, above photo). A dozen or so refugee members were gathered for Bible study on this day. Pastor Martens studied theology in Germany and the United States, and received a Ph.D. from Concordia Theological Seminary. 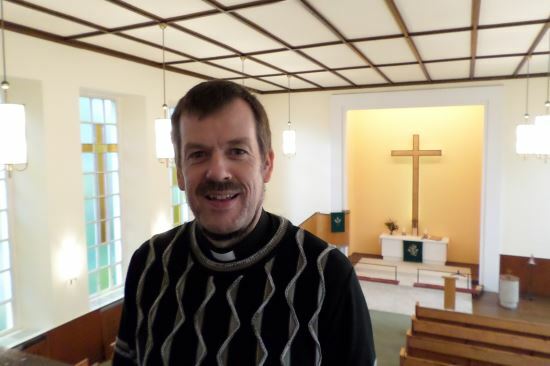 In 1991, he began his ministry in nearby Zehlendorf, Berlin, and three years ago he came to be in charge of Trinity Church. -Why do you think so many refugees flock to this church? *Evangelical Trinity Lutheran Church in Berlin, Germany. -What does your church do for the refugees? -What is the ministry for refugees like in other churches in Germany? -Did you intend to have a ministry particularly for refugees? -Some say that refugees convert intentionally to make their registration process easier. -There are others who worry that Germany may become Islamized if it keeps accepting refugees from the Middle East. 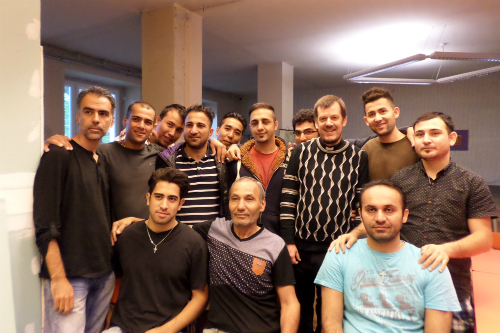 *Pastor Martens (third from right, back row) with refugee converts from Iran and other places. -Is there any particular converted refugee story you would like to share? -Your ministry for refugees must give you moments of great inspiration. -There are quite a few refugees residing in Korea, too. How would you advise the Korean church?